The last time I'd taken a day trip to Huntsville was October 2013, and I'd assumed I'd be making more frequent trips down to visit my friends EM and CM. Well, life sure gets hectic, and while we've seen each other in TN since then, they now have a baby girl who is over a year old! Yikes! So when Dan and I had a free Saturday last weekend, we headed down to visit that adorable family for the day. Our first stop, however was lunch... Korean food! We stopped at Shinsegae Restaurant, a casual little hole in the wall. 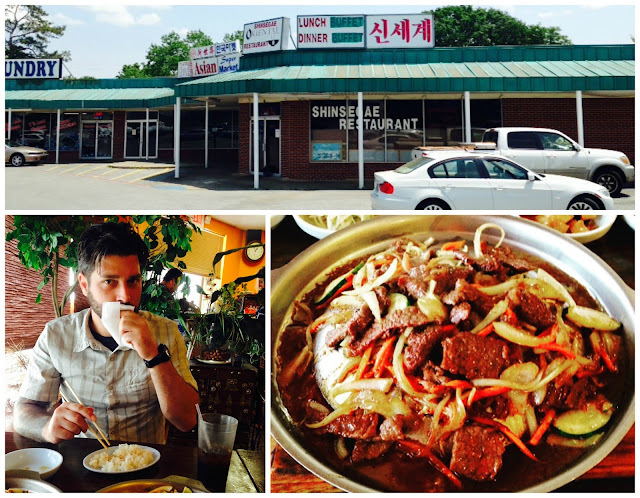 The food was tasty (the japchae bulgogi dish was my favorite) and the prices were reasonable. There was only one waiter so you have to be patient with service, but the food was solidly good. It wasn't upscale or LA/NY-quality Korean, but not bad. There are more Korean restaurants in Huntsville due to the defense industry, so I want to try more every time I'm in town. After meeting up with EM and CM (and their little Bee!) we headed out to enjoy some of the local craft beer. It was a hot and sunny day. We did tastings at Straight to Ale and Yellowhammer. 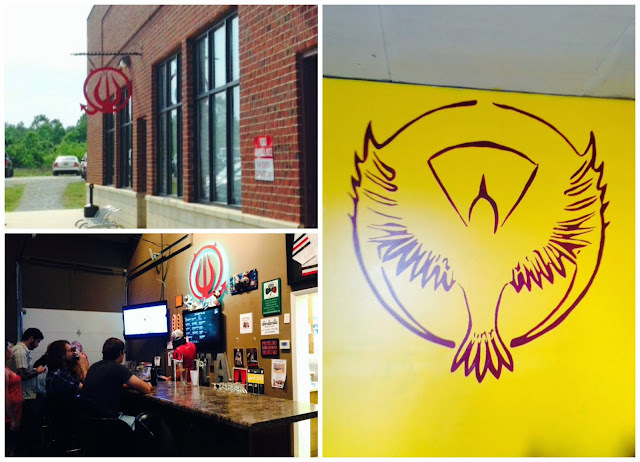 I loved the outdoor space and beer at Yellowhammer the best. 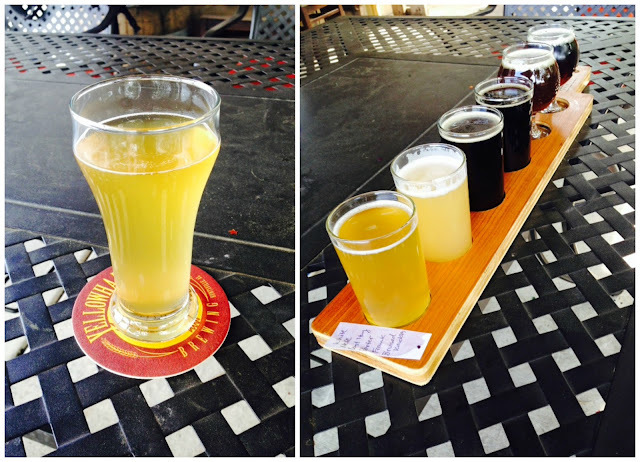 Their Belgian White was perfect for the hot weather! Both breweries are relocating to a new "old" space, a reclaimed old middle school that is being fixed into a community gathering place and venue. 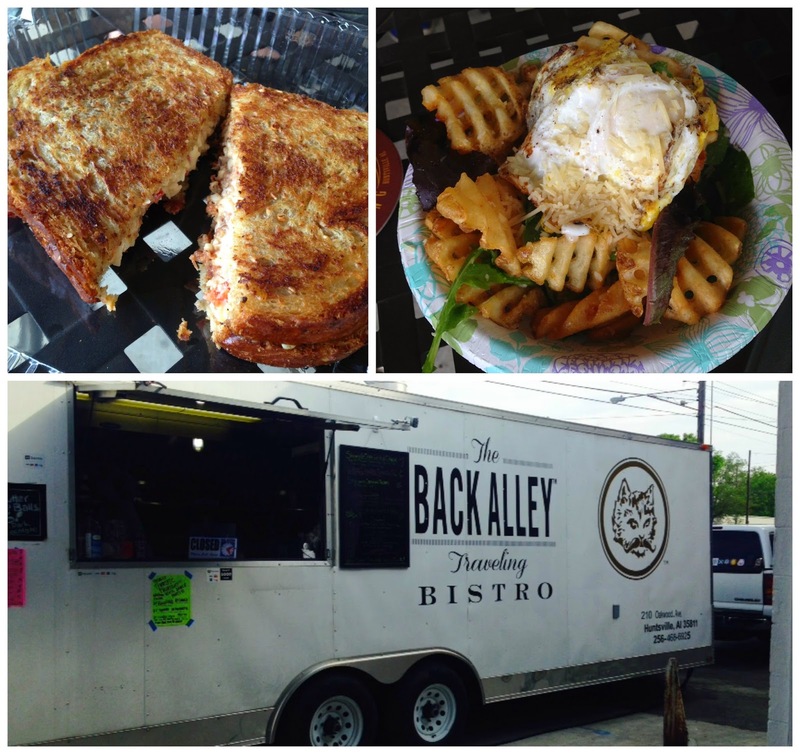 Back Alley Bistro's food truck was at Yellowhammer, serving up some tasty sandwiches. It wasn't as good as our Grilled Cheeserie truck, but the sandwich creations were unique. I had a white cheddar pimento grilled cheese with bacon chutney, and we split some loaded waffle fries. Again, perfectly suited to the day with cold beers! I have no idea where the time went, because before we knew it, it was time to depart Huntsville for the 90-minute drive home that evening. I leave you with my most favorite picture of the day, celebrating a connection that social media made seven years ago this July, now a real-life friendship!